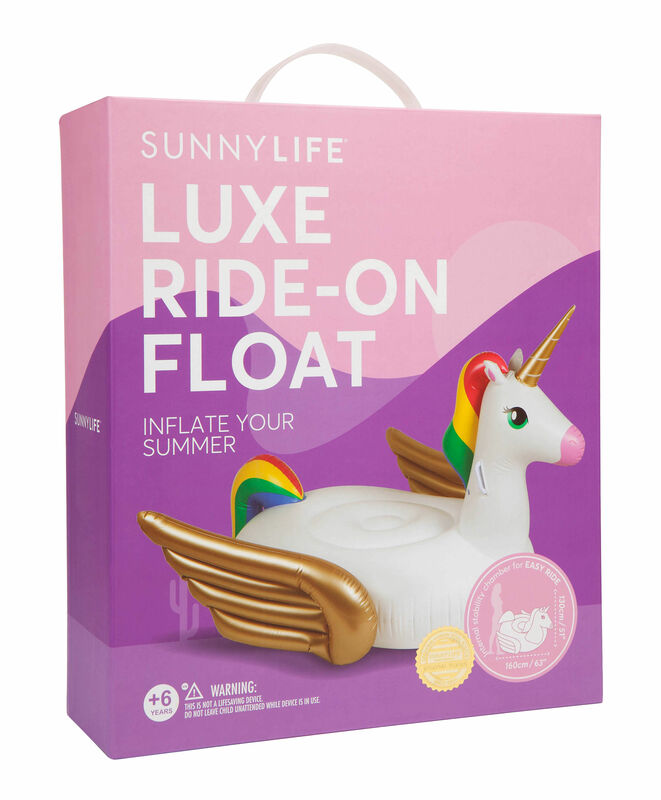 Express your style outdoors with Sunnylife! 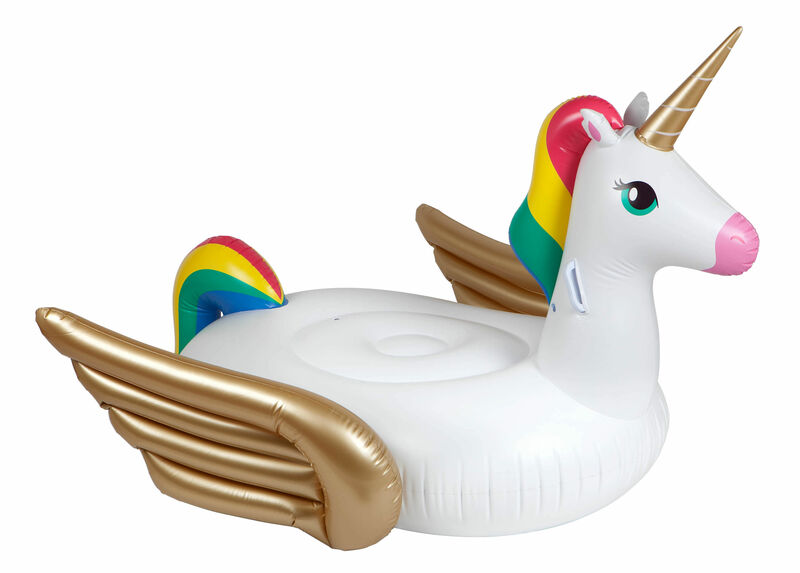 A swimming pool, friends, music, sun and ... a unicorn! Super fun and trendy, this is the ultimate accessory for pool or beach parties or barbecues on the banks on a lake. 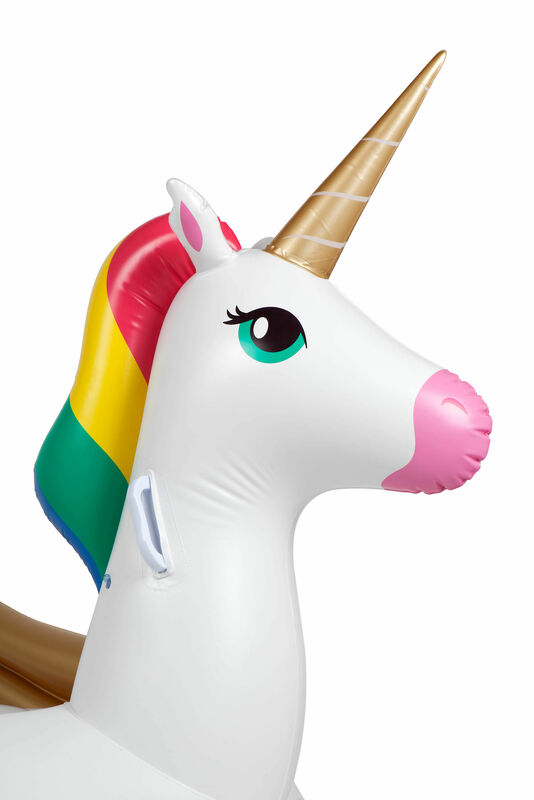 Comfortably seated on the back of this adorable giant unicorn (Ø 130 cm), you will enjoy the sun and fully relax. Practical for a nap, to sunbathe or sip a cocktail while relaxing in the water. Sit, lie down, alone or with friends : party atmosphere and laughs guaranteed! Docile and determined to keep you dry, this toucan is perfectly stable thanks to its large style and extra air chamber. The seat inside the rubber ring ensures excellent seated comfort. The two handles in the base of the neck enable you to hold on tight. You can also use this giant rubber ring out of the water, to nap in the grass.